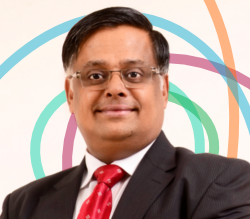 Vasukumar Nair's Blog: Chasing the entrepreneurial dream! 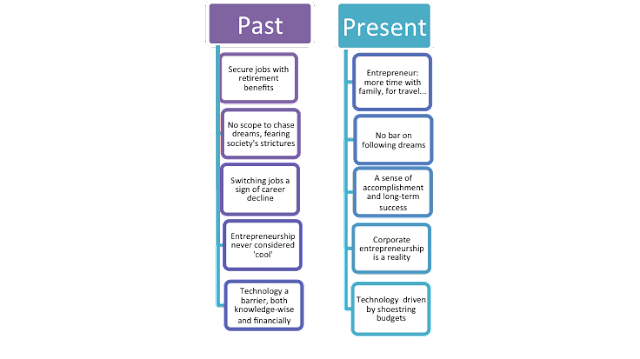 Looking back, the concept of entrepreneurship has undergone a sea change, as did everything else. Gone are the days when young enterprise was frowned upon and startups were unheard of. If job security was the watchword then, the same security blanket was flung out of the window as crises gripped the global economy and financials took a beating. Lifting the self-imposed shades, the public saw the world for what it was – in black and white – that entrepreneurship was the tool to fight unemployment, generate jobs and, with it, wealth. Glorying in its image makeover, entrepreneurship became a matter of pride. Gen Y businessman veered away from profit pipe dreams to look to innovation, creativity, and a sense of balance to keep their own. Small is beautiful, indeed! With the pink slip a stark reality, striking out on one’s own was a practical solution. Clued up, connected, or plugged in – describe it any which way – the teenager/school student with a micro-business proposal is now credited with a hearing, success surfing in via the laptop and Internet. 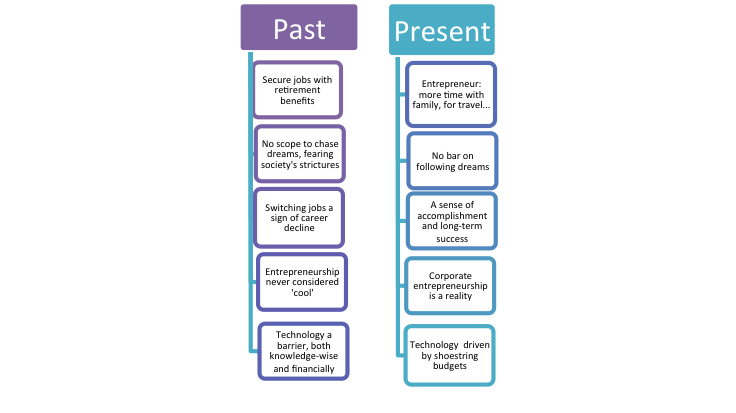 Individual success stories led to the birth of corporate entrepreneurship, and major firms began investing in, rather than acquiring, startups. Industry experts say 30% of large companies are seed funding entrepreneurial and intrapreneurial ventures. Not to be left behind, banks too began jumping onto the bandwagon. So much so that employers now take on even failed entrepreneurs; mastering one’s destiny has made its mark. And with individual success, social entrepreneurship and social innovation rose to the fore combining determination, optimism, and resourcefulness to pursue social change and social profit. The spurt in education, more rights for women and minorities, and the swell of information technology made social innovation a reality. Behind every successful business is an individual or a group of individuals who dares to dream. Hail Steve Jobs, Elon Musk, Mark Zuckerberg and others of his ilk!